Corinne Katz graduated from the University of California, Los Angeles with a degree in Political Science, and earned her Juris Doctor from Pepperdine University School of Law in 2008. She is a member of the Consumer Attorneys Association of Los Angeles, the Beverly Hills Bar Association, and the Los Angeles County Bar Association. Ms. Elfassi is a civil litigator, and her passion for helping people in need brought her to the Personal Injury field. 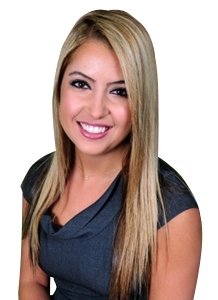 She has a background in Employment Discrimination and specializes in Personal Injury. Her specialty includes auto accidents, motorcycle accidents, drunk driving accidents, slip and falls, dog bites, assault cases, and wrongful death. She has obtained many judgments and settlements, including a judgment for over $1 million.